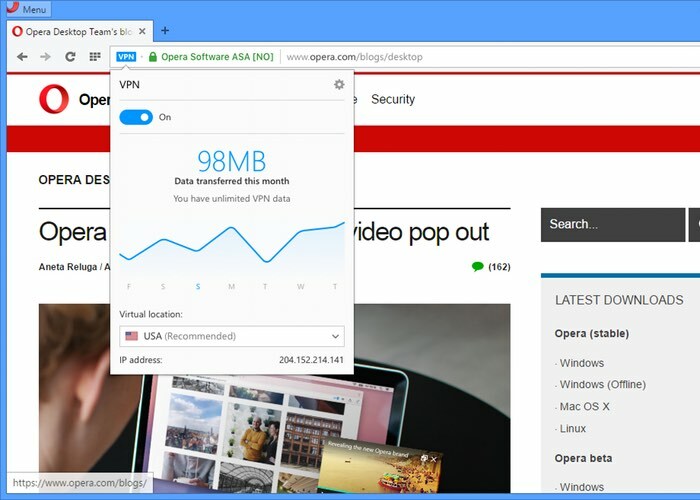 Opera has this week announced a new update the company has rolled out to its desktop browser, which provides users with a new free Opera VPN service to enjoy. Removing the need to download VPN extensions or pay for VPN subscriptions. As well as offering easy access to blocked websites and the ability to shield your browsing when using public Wi-Fi hotspots, explains Opera. Watch the video below to learn more about the new addition of a free VPN service to the Opera browser. According to the research, young people are leading the way when it comes to VPN usage, with almost one third of people between 16-34 having used a VPN. Until now, most VPN services and proxy servers have been limited and based on a paid subscription. With a free, unlimited, native VPN that just works out-of-the-box and doesn’t require any subscription, Opera wants to make VPNs available to everyone. – Hide your IP address – Opera will replace your IP address with a virtual IP address, so it’s harder for sites to track your location and identify your computer. This means you can browse the web more privately. – Unblocking of firewalls and websites – Many countries, schools and workplaces block video-streaming sites, social networks and other services. By using a VPN you can access your favorite content, no matter where you are. – Public Wi-Fi security – When you’re surfing the web on public Wi-Fi, intruders can easily sniff data. By using a VPN, you can improve the security of your personal information. For more information on the new free Opera VPN service jump over to the official Opera website for details following the link below.